The time has come for City to play one of the Premier Leagues big boys, Arsenal will be a good test and I am looking forward to properly seeing how far we have come. I have to say for the first time in a long time I am actually confidently looking forward to playing one of the Leagues best teams. We are in good form and I don't see what we have to be scared about when we play Arsenal, obviously they are no Wolves or Portsmouth but I think that our squad is every bit as good as theirs. Arsenal are still a flair team and love to play with the football on the floor, this is what we must stop, as well as hitting them with our own flair. It all comes back to my favourite approach to football and that is hard work, we have to work hard when Arsenal are in possession and when we are in possession. If we close down Arsenals key men quickly and efficiently then they will have no where to go, equally we must work hard when going forward. I think if we do break on them in full flow that they will not be able to keep us from scoring. I don't think Arsenals defence is top notch and I am sure that there will be chances where we can score. Carlos Tevez is out after picking up an knee Injury against Brazil, Robinho is also a doubt after getting injured in the same game. Vincent Kompany and Roque Santa Cruz are thought to be close to full fitness but may not be rushed back into the fold just yet. Micheal Johnson is still struggling with an abdominal injury, Sylvinho may make the bench or even make his debut down the left if Robinho is indeed going to miss out. Tomas Rosicky played for his country in midweek but may not ready to return to Arsene Wenger's team, Theo Walcott has returned to training but is also not likely to feature. Andrey Arshavin got injured playing for his country and joins Johan Djourou (knee), Samir Nasri (broken leg) and Lukasz Fabianski on the treatment table. Cesc Fabregas is likely to return from injury for Arsenal. 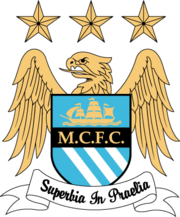 Possible Man City Line Up: Given, Richards, Toure, Lescott, Bridge, Wright-Phillips, Ireland, Barry, Weiss, Adebayor, Robinho. Possible Arsenal Line Up: Almunia, Sagna, Gallas, Vermaelen, Clichy, Denilson, Song, Bendtner, Diaby, Eboue, Van Persie. My Prediction: Man City 2 - 0 Arsenal. Worth A Bet: Stephen Ireland scores first in a 2 - 0 City win. Good comments, but I think you are underestimating the Arse a little here. Much as I would like to see a hatful of goals for us (Ade hat-trick!) I think we will probably lose our 100% defensive record, but will still scrape the win - 2-1 to City. It's 'flair', not 'flare' by the way! Ermmm I nearly went 2 - 1 to be honest, but I was not sure we would concede especially with Arshavin out. And thanks for that I wasn't sure, it was one of them where I tried both and the other didn't look right lol.